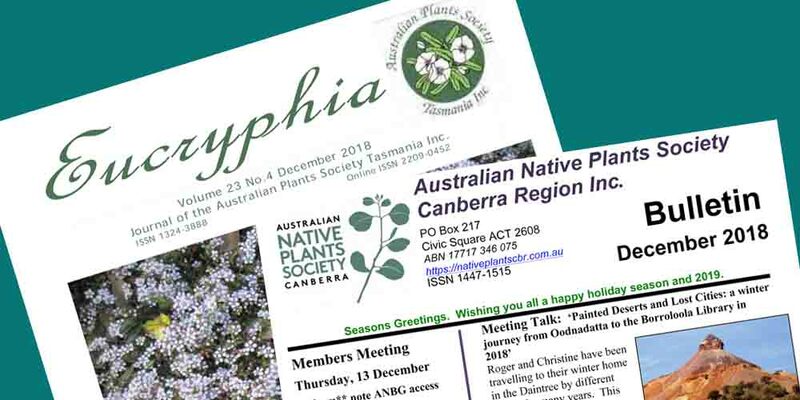 We regularly receive hard copies of newsletters from related ANPSA organisations in other parts of Australia, which are distributed to each branch for members to read. We are now receiving digital copies of some of these newsletters which may be downloaded – MEMBERS ONLY. Only the current copy will be available for download due to size restrictions. On our website now – Members Only – are newsletters from Canberra – Dec 2018 as well as Tasmania – Dec 2018. Go to the newsletters page here.